Burntisland Community Council is working hard to raise money for improving the Christmas Lights in the High Street. This year the main section to the Burgh Chambers will be covered and next year the western part should be lit too. There are collection boxes in many shops and the fundraising Bingo will be in the Jubilee on Friday. 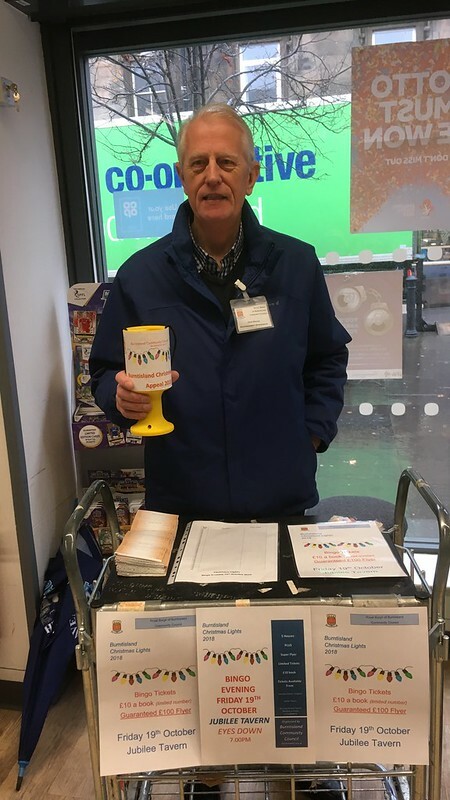 Today the CC is staffing a stall (pictured John Bruce) in the High Street Co-op offering bingo cards and the chance to put money in the can.